In order to increase recognition of the significance of roofs to every home and business in the U.S., as well as emphasize the value of professional roofing contractors, National Roofing Week is taking place this week from June 4-10. According to the National Roofing Contractors Association, National Roofing Week also promotes the importance of hiring a professional roofing contractor and making informed decisions about maintaining or replacing any roof system. Roofs play an essential role in the structure of your home or business, yet it’s often taken for granted until it needs repairing or replacing. At Royal Home Improvement, satisfaction begins the moment you hire us to install your new roof. Our expert roofing installers use the highest quality roofing materials to help alleviate any roofing problems you may be experiencing. Not only will you get a roof that is created from the best products, but it’s also backed by one of the strongest warranty programs in the industry. You can’t beat strength, durability, and curb appeal! 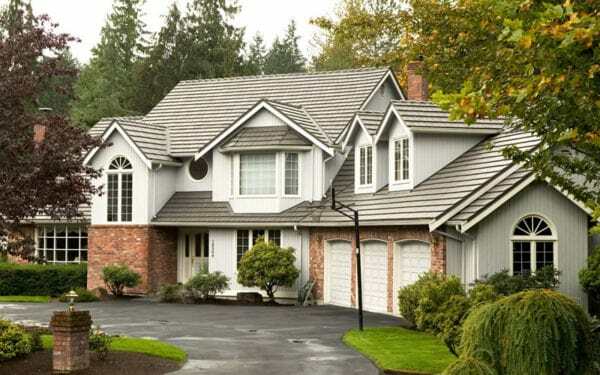 Residential metal roofing is a great substitute to traditional composition shingle roofing and has many advantages. It’s available in several styles, designer colors, and allows you to give a personalized touch to your home. Metal roofs are much stronger and durable than asphalt shingle roofing and can endure all types of weather conditions including hail, sun exposure, and strong winds without deteriorating. In fact, lighter colored metal roofing reflects much of the sun’s UV rays which helps keep your house cooler and lowers utility costs in the summer. These roofing systems provide your home with maximum energy efficiency and add resale value and curb appeal for years to come! To browse our photo gallery, see our before and after projects, or access our Roof Visualizer tool, click here. Our professional Royal Home Improvement contractors have extensive knowledge and experience to ensure that your roofing project is completed efficiently and beautifully, so contact us today if it’s time to update your home or business roof. There is no better time to emphasize the importance of the value of a sturdy roof than National Roofing Week!